Would you know what to do if your child was choking or if someone had a heart attack in front of you? Our free guide gives you easy-to-use advice, so that you have the confidence to save a life in an emergency. Just as these skills give you the ability to respond whenever a crisis occurs, by making a regular gift, you can help the Red Cross to respond in an emergency, whenever and wherever we´re needed. Together we can help people in crisis. Whatever happens tomorrow, with a monthly donation, you know you will be supporting us to be there for whoever needs help, both in the UK and overseas. 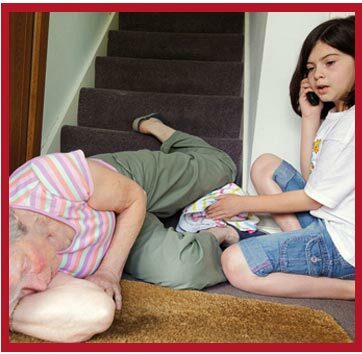 Be ready to respond to any emergency by requesting your FREE first aid guide from the British Red Cross.